We just learned about the Pendant of Osorkon II. Another ancient Egyptian sculpture is the Ka Statue of Hor. The pharaohs of Egypt were very powerful, and had many statues made of them. When they died people made large statues to be buried with them in their tombs. One type of sculpture in the tomb was called a Ka statue, and it was meant to hold the spirit of the dead pharaoh. In the ancient Egyptian picture language called hieroglyphics, the arms on the pharaoh's head in the shape of a U, was the symbol for Ka. We just learned in Italian her hands are soft is Le sue mani sono morbide. To say his face is rough you would say il suo volto è ruvida. So all together il suo volto è ruvida sounds like eel soo-oh voh-l-toh ay roo-vee-dah. We just learned about a Category 2 Hurricane. The next level of damage on the Saffir-Simpson Hurricane Wind Scale is the Category 3 Hurricane - Devastating damage will occur. These hurricanes have wind speeds between 111 and 129 mph. This type of hurricane can destroy mobile homes, damage smaller houses, cause flooding, uproot or snap trees, and cause power outages. We just learned about Emerald Tree Boa. Another type of snake is the Indian Cobra, also known as the naja naja, spectacled cobra, asian cobra or binocellate cobra. This type of cobra lives mostly near India. When this snake gets upset, it has a hood on the sides of it's head that it will flare out to show it is angry. On some of these types of cobras, there is a marking on the back of their head that looks like a pair of glasses or spectacles. Many people in India used to do something called snake charming, where they kept a cobra in a basket and then played a flute to get the snake to stand up and dance. The real secret was the way the flute moved around to make the snake look at it. Because these snakes were handled so much by people, they are one of the snakes that has bit people the most of any species. We just learned about the Parietal Lobe. Another part of the cerebral cortex is the temporal lobe. This lobe is on the side of your head, right by your ear and your temple. The main job of this part of your brain is to take the sounds that come in through your ear and help you understand what they mean. This means helping you tell the difference between a bunch of noise, and someone talking to you and saying words. Or listening to music or birds chirping. It also helps a little with memories and with things you see. We just learned about Lake Issyk-Kul in Kyrgyzstan. The next biggest lake is Lake Urmia in Iran. This lake used to be the largest lake in the middle east in Asia, but because of dams that blocked off the rivers feeding it and the water being used up, it is now 10 times smaller than it was. There is an interesting small island on the lake called The Fist of Osman. We just learned about Good Friday on the Church Calendar. The next day is Holy Saturday. On this day people remember when Jesus Christ body was laid in his tomb after he was crucified on Good Friday. We just learned about the Younger Memnon statue. Another egyptian sculpture is the Pendant of Osorkon II. Through the years of the Egyptian empire, there were many myths about different Gods. The stories about how they looked and who they were changed for many years. Like for a while Horus was the brother of Isis and Osiris, but then later the stories changed and Horus was the son of Isis and Osiris. When people started making sculptures of them people decided on what each character would look like, so that when you saw a sculpture you know which person it was, and the stories didn't change as much after that. This sculpture of Horus, Osiris and Isis. Horus has a falcon's head, Osiris has a feathered tiara, and Isis has a horned disk. There are markings on the statue showing that it was made for the Pharaoh Osorkon II, and was probably in his temple somewhere. In those days the Pharaoh was very powerful, and people believed the Pharaoh would become part of the mythology after his death. We just learned in Italian our table is short is Il nostro tavolo è breve. To say her hands are soft you would say Le sue mani sono morbide. So all together Le sue mani sono morbide sounds like lay soo-ay mah-nee so-noh moh-d-bee-day. We just learned about Category 1 Hurricane. The next level of damage on the Saffir-Simpson Hurricane Wind Scale is the Category 2 Hurricane - Extremely dangerous winds will cause extensive damage. These hurricanes have winds between 96 and 110 mph. These will cause damage to roofing, uproot or snap trees, destroy mobile homes and cause power outages. We just learned about the Green Tree Python. Another type of snake is the Emerald Tree Boa. This snake looks and acts a lot like the Green Tree Python, but they are from totally different parts of the world, and they are not the same snake. The Emerald Tree Boa is from South America, and the Green Tree Python is from Indonesia and Australia. They both live in trees, grow to about the same size, attack their prey by wrapping their bodies around them, and they even coil themselves up in trees the same way. If you found one of these snakes in the wild, it would be really tough to tell which type it was! A few differences are that the Emerald Tree Boa has large fangs and eats birds, and the boa has live snake babies, while the python lays eggs. We just learned about the frontal lobe in the cerebrum part of the brain. 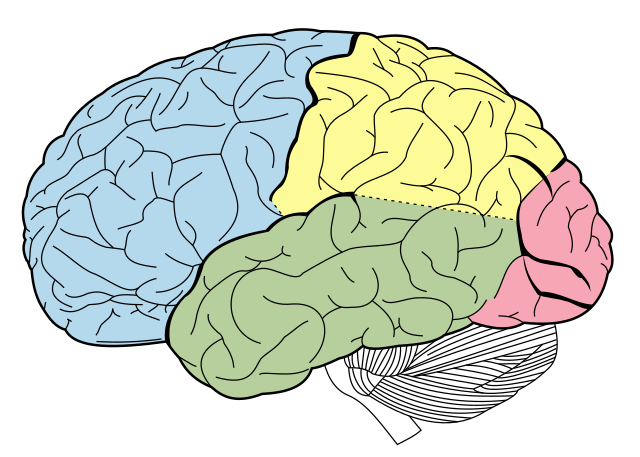 Another lobe in the cerebrum is called the parietal lobe. This part of the brain is used for your skin and feelings, so when you touch something you can tell if it is soft or hard, smooth or sharp. The parietal lobe is also used to help understand and speak languages. And it is used to figure out where you are when you are moving around, which is called spatial awareness. An example of this is when you are in a house you can tell if you are in a smaller room versus a larger room, or if you go upstairs you can figure out which room you are above. We just learned about the lake Reindeer Lake in Canada. The next largest lake is lake Issyk-Kul in Kyrgyzstan. This lake is in a mountain range, and even though through the winter the mountains are covered in snow, the water never freezes because there are hot springs feeding the water into the lake. Hot springs doesn't mean the water is hot though, it just means the temperature is above freezing. At the warmest part of the year when people go to the beach for swimming, the water is usually from 64 to 73 degrees F.
That's really cold for most people! We just learned about Maundy Thursday. The next special day of Holy Week is Good Friday. This is the day for remembering when Christ died on the cross. Some churches will have prayers to remember each part of Jesus' walk to the cross. Other countries have parades with large crosses and floats to remember what happened. In some places they make hot cross buns, which have frosting of a cross on the top to remember the cross, and spices inside to remember the spices used when Jesus was buried. We just learned about Nefertiti Bust sculpture. Another ancient sculpture is the Younger Memnon statue. This is the sculpture of an ancient Egyptian Pharoah named Ramesses II or Ramesses the Great, and it is over 8 feet tall and 6 feet wide. The statue used to have a lower body and legs, but they were broken. This statue used to stand outside a large temple called the Ramesseum, a temple built for the pharoah. Rameses II was pharoah for a long time and had many temples, statues and sculptures built through the time he was a ruler. We just learned in Italian their car is tall is La loro auto è alto. To say our table is short you would say Il nostro tavolo è breve. So all together Il nostro tavolo è breve sounds like eel noh-st-doh tah-voh-loh ay b-day-vay. We just learned about the Saffir-Simpson Hurricane Wind Scale used to measure hurricanes. The first level on that scale is a Category 1 Hurricane - Very dangerous winds that will produce some damage. These hurricanes have winds between 74 and 95 mph. They usually are not strong enough to damage large houses or buildings, but could blow over mobile homes, uproot trees or blow off roof shingles. We just learned about Corn Snake. Another type of snake is the Green Tree Python. These snakes live in areas like New Guinea, Indonesia or Australia. They live in trees, and will loop their coils over the tree like a saddle, and then lay their head in the middle. When they hunt for the rodents that they eat, they will hang down from the tree and surprise their prey. They do not have venom, and they are constrictors. That means they wrap their body around their prey and squish it. Sometimes they will bite humans if they get scared, but since they do not have venom they are not very dangerous. We just learned about the Cerebrum. There are four parts of the cerebrum, called lobes. The lobe in the front at your forehead is called the frontal lobe. The frontal lobe helps control voluntary movement. Voluntary movement means things that you control, like walking or moving your arms. Involuntary movement is things you can't control, like your heart pumping, or your stomach digesting your food. It also helps make decisions on what is good or bad, and helps make decisions on if two things are alike. We just learned about Lake Turkana in Russia. The next biggest lake is Reindeer Lake in Canada. This lake has a very deep circular part called Deep Bay Crater that was made when a large meteorite crashed into the earth. There is also a legend about a giant creature that lives deep in that crater. We just learned about Palm Sunday. The next day in the church calendar is Maundy Thursday. This day is to remember the Last Supper, when Christ sat with his disciples for the last time, washed their feet and then ate together. Some churches remember the day by having foot washing ceremonies where everyone washes each other's feet. We just learned about Tutankhamun's Mask. Another famous ancient sculpture is the Nefertiti Bust. A bust is a sculpture of the head and shoulders of a person. This sculpture was made of limestone on the inside, and then stucco on the outside. Stucco is like paste, and the sculptor used a few layers to make the face the way he wanted. Once the shape was done, he painted it. The right eye is made of black quartz, black paint and beeswax. The pupil of the left eye is missing. Some people think maybe the real person lost her left eye and maybe they made the statue to match it. Others think maybe the sculptor left it open to help students learn how to make eyes. Because the sculpture was so beautiful, Nefertiti was known all over the place as the beautiful wife of the pharoah. She also was the mother of the wife of Tutankhamen. The hat she is wearing is called the Nefertiti cap crown. and your food is hot is Il vostro cibo è caldo. To say their car is tall you would say La loro auto è alto. So all together La loro auto è alto sounds like la loh-doh ah-oo-toh ay ah-l-toh. We just learned about Tropical Storms. Another type of tropical cyclone is a hurricane. For a tropical cyclone to be called a hurricane, it has to have winds over 74 miles per hour for over a minute. Hurricanes are put into categories of 1 to 5 based on how strong they are. There is a scale called the Saffir-Simpson Hurricane Wind Scale, which scientists use to tell which category number the hurricane is, based on how strong the wind is. We just learned about the blue krait snake. Another type of snake is the corn snake. Corn snakes do not have venom and do not attack humans. They help people a lot because they eat rats and mice that eat corn and grains. Sometimes they live by where grains are stored and eat the rodents that would come and destroy the farmer's harvest, or spread disease to humans. Let's keep learning about the brain. The largest part of the brain is called the cerebrum. This is the big part of the human head, where all of your thinking and feeling happens. The cerebellum is what sends all the messages to your body and tells it what to do, and it's also the part that gets messages from the body about sights sounds and feelings. We just learned about Lake Taymyr in Russia. The next biggest lake is in Kenya, called Lake Turkana. It is the world's largest salt lake and desert lake. There is a small active volcanic island in the middle called Central Island. There are lakes on this island where many animals live, like flamingos, crocodiles, hippos, snakes, zebra, topi, oryx, giraffe, kudu and gazelle. We just learned about Holy Week. On this day, churches celebrate the day that Jesus came into Jerusalem on a donkey and people waved palm branches and laid them at his feet. The colors at the church are usually red for Palm Sunday. Some churches hand out palm branches for people to hold while singing hymns. These palms are then taken home to put above a cross or picture of Christ. Some churches keep those palm branches until the next year's Ash Wednesday when they burn them and use the ashes. We just learned about Statue of Gudea. Another ancient sculpture is Tutankhamun's Mask. The mask is made of gold and weighs 22 lbs. The face of the mask is a sculpture of the pharaoh's face. It has inlays of colored glass and gems made of lapis lazuli, quartz, obsidian, carnelian, feldspar, turquoise, amazonite, faience and others. The beard is inlaid with lapis lazuli. On the back and shoulders are ancient Egyptian hieroglyphs that write out what was thought of as a protective spell in ancient Egypt. and my drink is cold is La mia bevanda è freddo. To say your food is hot you would say Il vostro cibo è caldo.. So all together Il vostro cibo è caldo sounds like mine eel voh-st-doh chee-boh ay kah-l-doh.